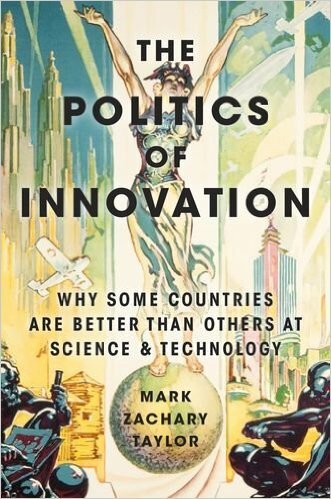 Why are some countries better than others at science and technology? Written in accessible language, The Politics of Innovation provides readers from all backgrounds with a useful survey of the innovation debate. It brings together the current political and economic wisdom, and latest findings, about how and why nations become S&T leaders. This book directly challenges the “institutions rule!” thesis widely held by social scientists, policymakers, and the general public. This is the belief that national policies and institutions determine economic outcomes. In response, this book fires a powerful broadside of evidence and analysis directly into the heart of recent best-sellers such as “Why Nations Fail” by Acemoglu & Robinson (Crown 2012) and venerated classics such as “Institutions, Institutional Change and Economic Performance” by Douglas North (Cambridge 1990). It also offers a new theory which rightly identifies institutions and policies as tools, not causal forces. Rather, politics are the driving force which determines how the tools of institutions and policies will be used. Also, these politics involve both domestic and international concerns. Therefore national success at S&T is not just a domestic story, it is also an international one.